NIKKEN has enjoyed success in the Swiss market for almost twenty years and is now taking steps to increase market share and improve customer service across the region. 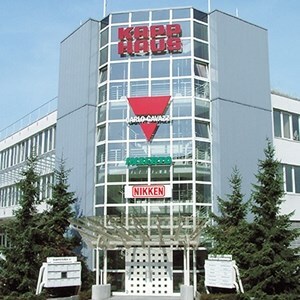 In a recent deal, NIKKEN Deutschland GmbH have acquired the NIKKEN AG business, and with it the responsibility for servicing all their existing customer base. This move represents the first step of what will be exciting times for the NIKKEN group in this region, with increased capacity and ability to service technically demanding applications with unfaltering speed and efficiency. During this period of change, communication with the Swiss operation will remain the same, with calls, emails and enquiries being handled seamlessly by the new management team. As the business expands there will be additional resources put in place to ensure customers continue to receive the exceptional service that is part of NIKKEN’s ethos - Absolute Integrity, Uncompromising Quality, Unflinching Support, and above all, Total Commitment to our customers.